"I was experiencing frequent headaches and lower back pain. After hearing wonderful things about the staff and Dr. Cunha, I decided to become a patient. I have been a patient since 2005, and my headaches and lower back pain gradually went away with the treatments and stretches that Dr. Cunha recommended. I was asked to join his practice in August of 2011. Not only is he helping me with my lower back pain and headaches, he is a great person to work for!" "My name is Kristen, I am a 25 year old mother of two beautiful girls. 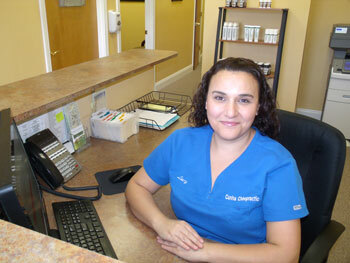 I enjoy working at Cunha Family Chiropractic, the employees and patients brighten up my day. I suffer from migraine headaches and a few patients have shared their stories with me. 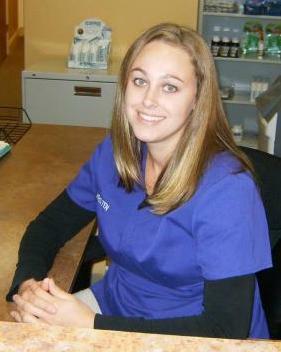 I am not only an employee at Dr. Cunha's office, but now I am a patient and my headaches have decreased in severity." "In 2009 I was suffering from migraine headaches neck and lower back pain. After hearing such wonderful things and stories about the staff and Dr. Cunha, I decided to become a patient. I have been a patient since 2009, and my headaches, neck and lower back pain has gradually went away with the treatments that Dr. Cunha has done. I was asked to join his practice in August of 2013. Not only is he helping me with my neck, lower back pain and migraine headaches, but he is a great person. The Doctor, staff and patients are amazing"